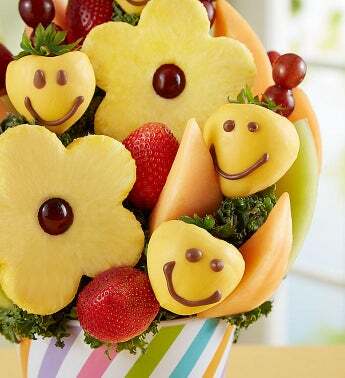 Here’s one surprise sure to make them smile! 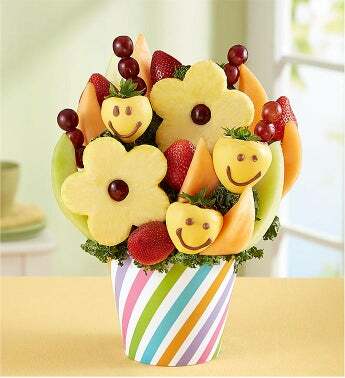 Our fun fruit creation is full of daisy-shaped pineapples, plump grapes, juicy melon and delicious dipped strawberries with happy faces. Served up in a pastel swirl container, this cheerful treat was made for sharing.